Not content with being one of the most celebrated DJs in the world, Armin Van Buuren has also had a string of club and chart hits. We asked him to talk us through the production of a top‑notch trance anthem. "I make what they call underground dance music,” remarks Armin Van Buuren, as we talk in a hotel prior to his set at London's Ministry Of Sound. You'd be forgiven for raising an eyebrow at the 'underground' part of that description. After all, this is a man who has been at pole position in DJ magazine's list of the top 100 DJs since 2007, and has produced a string of hits since bursting onto the scene with his track 'Blue Fear' in 1995. His popular weekly radio show, A State Of Trance, also recently celebrated its 400th episode, so it's probably fair to say that Armin's particular brand of 'underground' is about as well concealed as London Transport's. Unlike the Tube, though, Armin shows no sign of stopping. 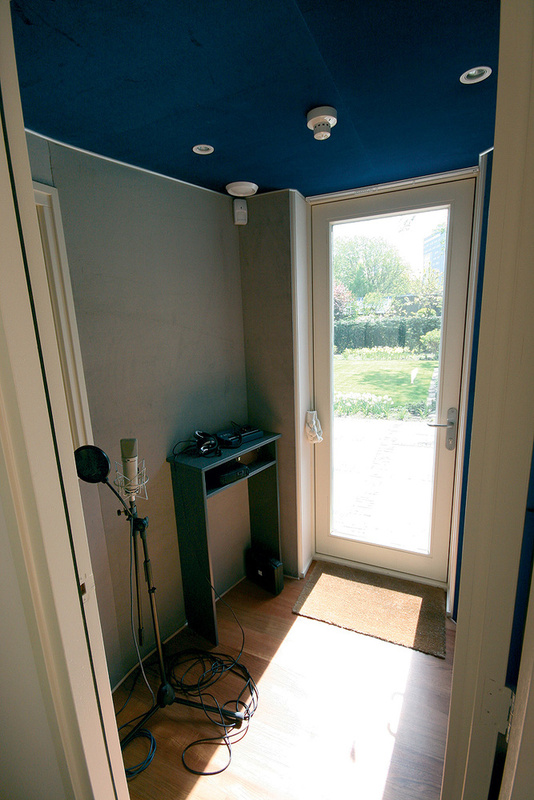 A variety of new remix and production activity is continuing apace at a newly constructed studio in his home town of Leiden in the Netherlands, where he frequently works alongside his studio partner Benno De Goeij, half of the production duo Rank 1. To begin with, I asked him how he typically sets about putting together a track from scratch; unsurprisingly, it's his wide knowledge of the music scene, built up through his DJ'ing, that informs the process from the earliest stages. "Usually we start by listening to other records. There's a few records around at any given time that have this hype around them, so all the producers listen to these records. A little while ago you had Deadmau5, with his sound, then you had people copying Deadmau5. We were listening to Deadmau5 as well, so our sound was a little influenced by that. And you can clearly feel the whole dance community shifting in response to the best new records. Despite the presence of a Toft analogue desk and plenty of other hardware, Logic and its bundled soft synths now dominate Armin Van Buuren's music. 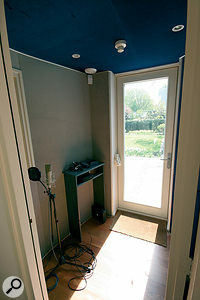 The vocal booth in Van Buuren's new studio: increasingly, he is working with vocalists to develop new material. Of course, the quality and inventiveness of the sounds a producer uses is also crucial in this particular musical sphere. "You almost have to be a sound designer right now, just as much as you have to be good at writing themes or good at producing beats. I come from the MIDI age, where you'd have a big mixer with all the S3000s and a big Atari running in the middle, but now everything's changed. You really have to know what you're doing. "I can think in terms of arrangements because I'm a DJ, whereas Benno is a sound guy, he can think in sounds. The guy's crazy: if he hears a particular sound in a record that I really like, he knows how to make that sound. Let me tell you something: ES2 in Logic can make almost any sound you want. Maybe there's a few analogue things it can't do, but you can always emulate those in other ways. Benno has proved to me that you can make 95 percent of any synth sound you want with ES2. You don't really need more than one synthesizer if you invest some time in learning how to work it. I know it's really boring, but read some articles or buy a book about synthesis. It's even good to go into your synth's presets and see how they're built. Is it one oscillator or two? What does unison do? FM? Distortion? If I draw the envelope differently, what effect does it have? Listen to a record you really like and try to recreate the main lead. How did they make it? Is it a saw wave? Is a little detune going on? Why does it sound so wide? Despite the practical advantages of keeping a certain sonic consistency between a each new track and the stylistic flavours of the month, Armin warns against simply duplicating settings between tracks. "You don't want to make the same record every time, which is what you hear a lot of successful producers doing. It's sort of sad when people have just one bass drum they rely on and they use it for every track. Fair enough, you know it works, so don't touch it; that's one way to go. But the other way to go is to solve the problem differently. For example, if you decide to use a different bass line, and it doesn't have the nice warm low end you need, just use a sine wave and put it underneath, layering it so that it sounds as warm as your other bass lines. That way the impact of the bass line is the same, but it's not the same bass line. 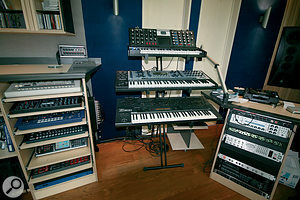 Although Armin Van Buuren is at pains to point out that none of them is actually necessary to his production process, his studio still boasts a wealth of hardware synths. One of the hallmarks of Armin's productions is openness and clarity, despite the lush synth textures and extensive delay and reverb effects, so I was keen to find out how he dealt with this mixing challenge. "How do you get your mix to sound open? Use your EQ. You don't want to know how many Channel EQs we've got going on, cutting bits away! Only use the sounds in the frequency ranges you want them to be active in. For example, you obviously want the kick drum to be at around 60‑70 Hz with a little top 'tick' going on. You can get rid of the other bits, even if it seems to make the kick drum nothing more than a hint of a kick drum. Delays as well: they work best in the mids and highs. Everything that goes on at lower frequencies, just filter it out. 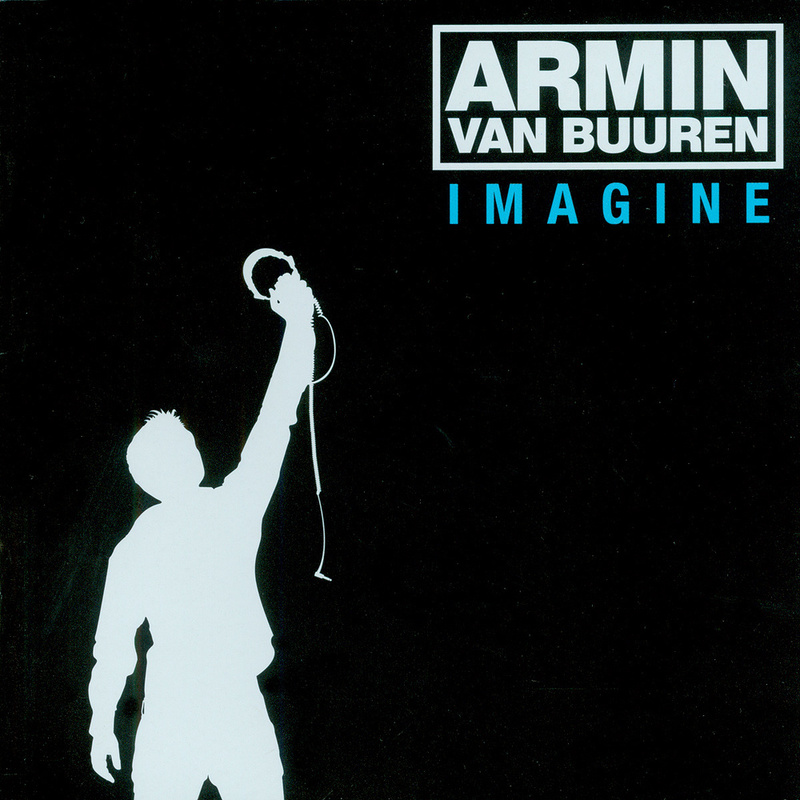 While a lot of home producers aspire to Armin Van Buuren's production values, few actually succeed. Why? Well, judging by the frequency with which the subject arises during our conversation together, a major factor has got to be the seriousness with which Armin approaches the subject of monitoring. "What a lot of the dance music guys do is set up their own studio in their mum's attic and then go to the music store and buy monitors, and the crucial thing I found out while making my last record is that that approach is completely wrong. 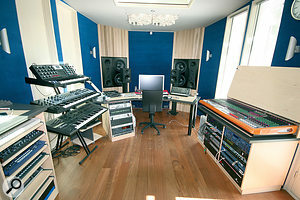 Here I've been able to build my studio completely from the ground up, and while everything was still on the drawing board we got the monitor builder Mischa Jacobi in with us to design the speakers for that room. And it's completely changed my life, because now I can finally hear what I'm doing! "People send me tracks where they say, 'I don't know what to do. I've done this mix a thousand times!”, and I can just grab an EQ and the whole problem's gone, because I can hear what I'm doing here. The problem is that a lot of these kids work not only with wrong monitors but they work in an environment that's completely wrong too. It's like if you decide to take a holiday to Paris, but you decide to go by bicycle rather than by plane, and then you don't take a map, so you don't know where you're going! And for the rest of us, there's a lot to learn from Armin Van Buuren. Although a lot of electronic music producers seem tempted to master their own tracks, Armin is cagey about following this trend. 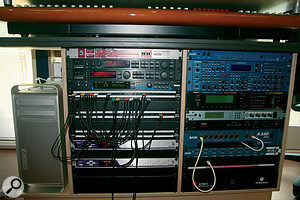 "I'm too insecure about it,” he admits, "so I leave it up to a mastering engineer.” He's also disinclined to mix through mastering‑style multi‑band processors. 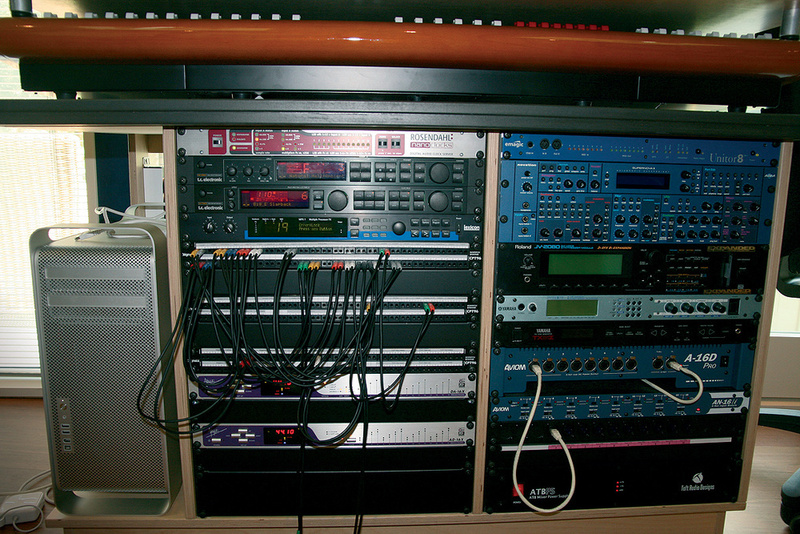 "The problem with multi‑band compression over the main outputs is that it usually clogs up the mix very fast. I get sent lots of promos, and now all these kids are using multi‑band compression to get their music to sound like my radio show. But that goes through a broadcast compressor, and if you heard it that way in a club you'd walk out of the club a half hour later screaming because there's no dynamics in there. It's really important to have some dynamics left. According to Armin Van Buuren, the outboard in his new studio is deliberately located a long way from the mix position, and only used where there's a need for a specific preset. 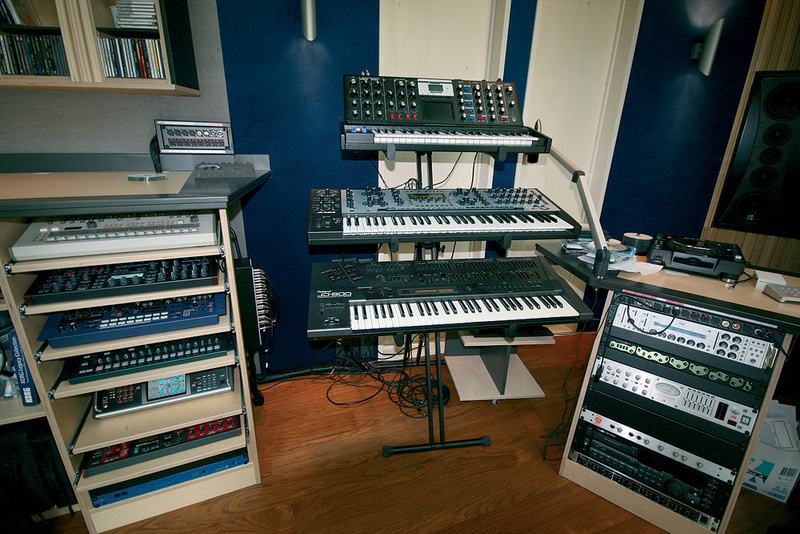 The Rosendahl Nanoclock (top left) provides a digital reference for the entire studio.